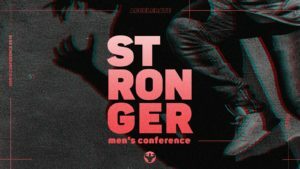 The Stronger Men’s Conference exists to empower and motivate men to live out God’s view of manhood and be the best husbands, fathers, and leaders God has called them to be. You will not want to miss out! Featuring world-class communicators, high-energy worship and awesome entertainment, this action-packed conference will truly be an experience to remember! Check-in is from 5:30pm, dinner is served from 6:00pm. Sessions start at 7:00pm, the evening will end at 9:00pm. Check-in is from 8:00am, sessions start at 9:00am, the conference will close at 2:00pm.